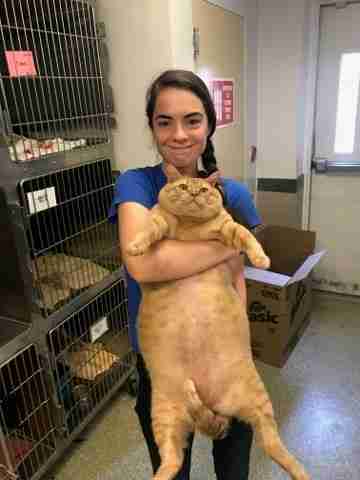 Sure, Symba the shelter cat may be a bit pudgier than most — but that just means there's more of him to love. And some lucky family will soon get the chance. Symba, age 6, arrived at the Humane Rescue Alliance in Washington, D.C., last week; his previous owner was moving and unable to keep him. 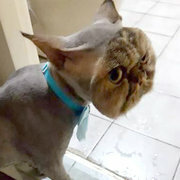 For obvious reasons, the cat quickly made quite the impression on shelter staffers. 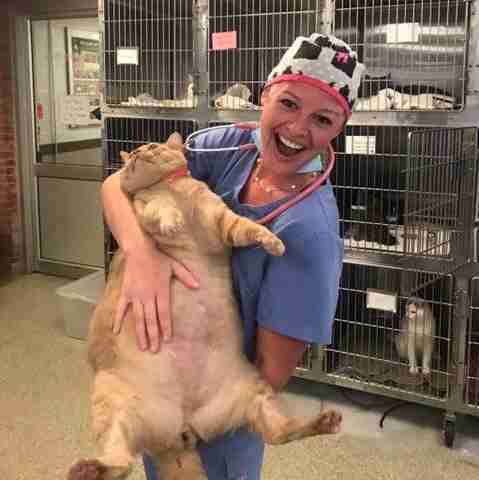 At 35 pounds, he's the largest kitty they've ever seen. 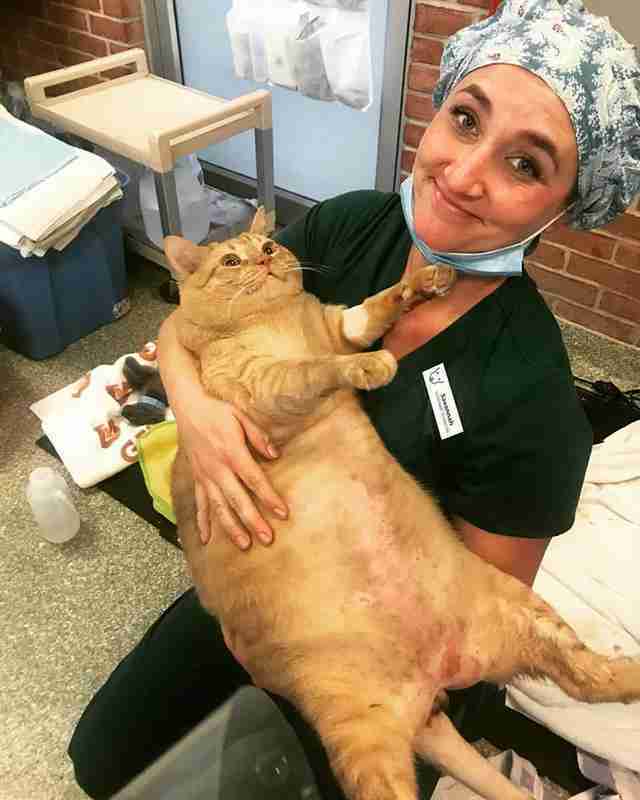 Indeed, he's a hefty boy — but Symba's got a big heart to boot. "He’s very sweet and loves to be petted," a shelter spokesperson told The Dodo. "Other than being overweight, Symba is healthy." 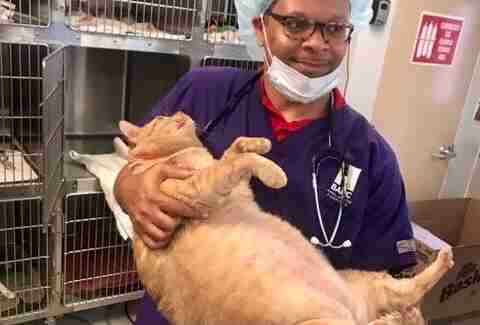 How Symba came to pack on so many pounds isn't entirely clear, but the shelter has already begun taking steps to get him back on track through diet and exercise. It's been a little slow-going at first — but, hey, you've got to start somewhere! If all goes smoothly, Symba will soon be shedding the pounds and be well on his way to living life to fullest. To help him get there, he's now accepting applications for a new best friend — one who'll keep him on the right track. 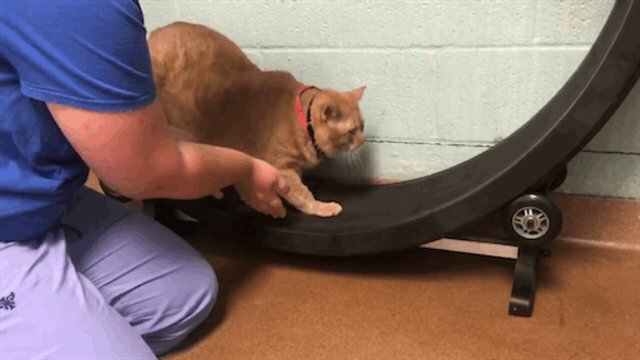 "Symba needs a home where his adopter will be diligent with an exercise and diet program that will help get this big guy to a healthy weight," the shelter said. Folks interested in adopting Symba should contact the Humane Rescue Alliance, or drop into its adoption center in Washington, D.C. If you live outside the area, you're in luck, too — there are plenty of lovable shelter cats waiting to find a forever home near you.